Welcome to this information literacy course for Master’s and PhD students. You probably already have some knowledge of information literacy, but if some of it has slipped your mind or if terms sound unfamiliar, this course includes links to information from the instructions for Bachelor’s students. Writing your Master’s thesis involves a number of different phases. You cannot simply start writing! You will first need extensive knowledge of the general field of research, in order to see where your subject fits in. Information Literacy for Master's and PhD students by TU Delft OpenCourseWare is licensed under a Creative Commons Attribution-NonCommercial-ShareAlike 4.0 International License. 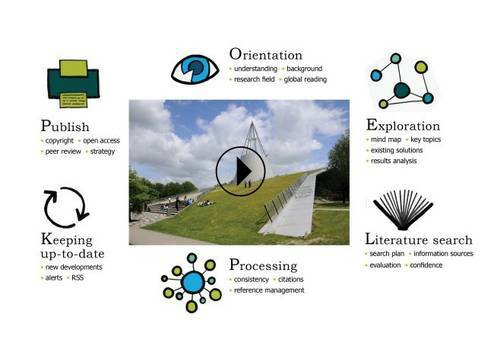 Based on a work at https://ocw.tudelft.nl/courses/information-literacy-for-masters-and-phd-students/.